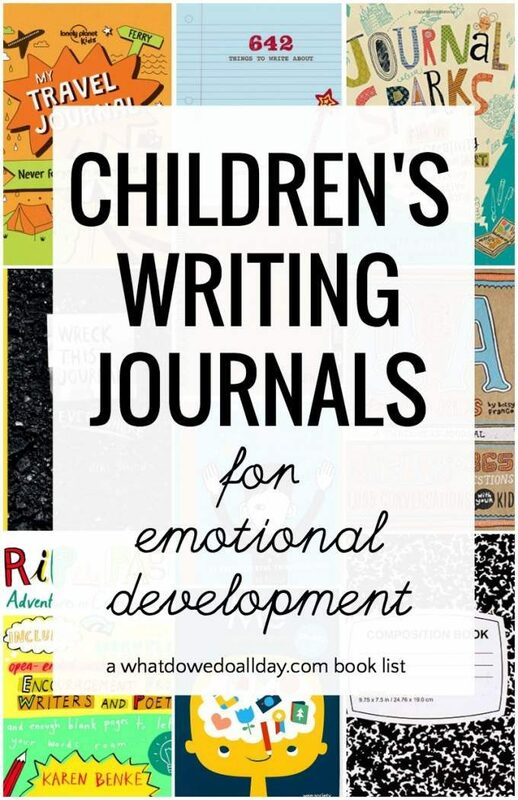 This list of Writing Journals for Children is a bit different than my typical book lists for kids. 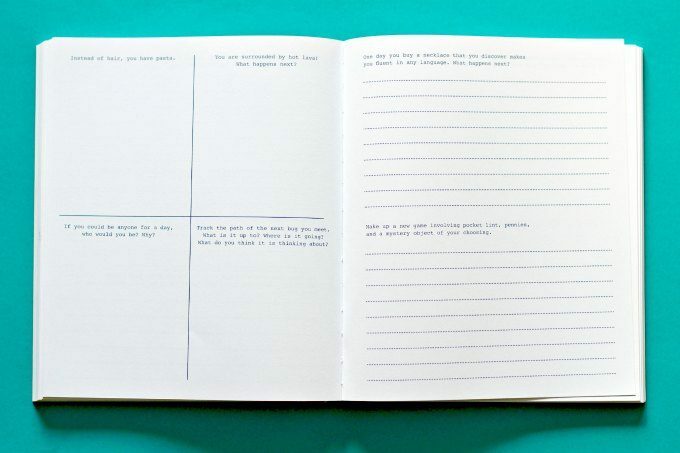 Writing in journals does not just provide handwriting practice. Journaling, whether daily, weekly or even just every once in a while, gives kids a sense of accomplishment. Kids develop a great sense of self-awareness and are able to give voice to their emotions and experiences in a safe, non-judgmental space. 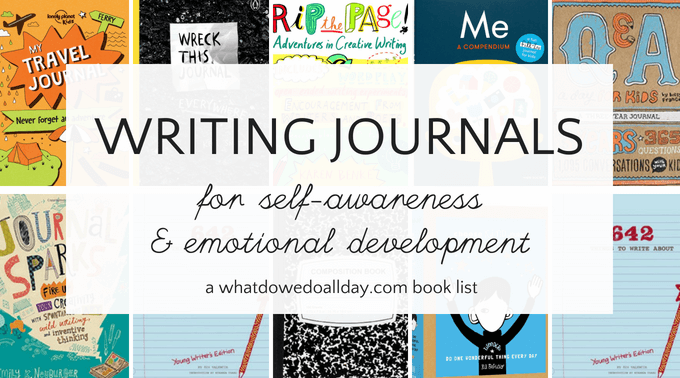 I chose the kids journals for this list specifically for their ability to provide writing prompts to help develop a child’s sense of self, but also because some of them offer creative ways of looking at the process of writing. I, myself have kept a diary since I was nine years old. As an adult I so enjoy looking back at the childhood experiences that I thought were important enough to record for posterity. I encourage all parents to give their children the opportunity to create their own life chronicle. Believe me, you’ll love looking back at your children’s memories, too. Q & A a Day for Kids: A Three-Year Journal. I first saw this in the New York Public Library’s gift store (a dangerous place for my wallet) and fell in love. It might be my favorite of all the journals collected here. 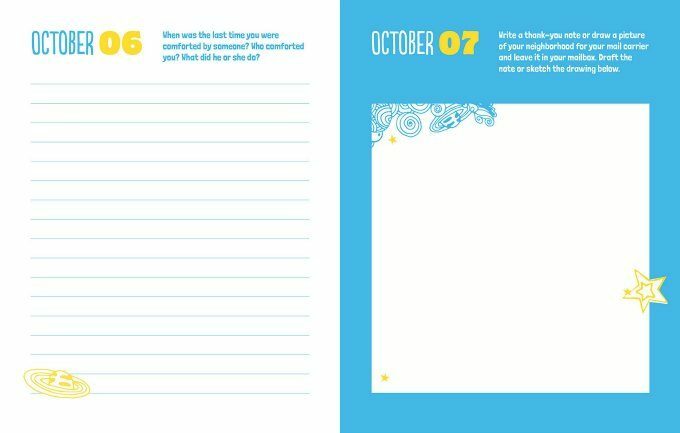 Each page features a question with space below designated for a child to write his answer for three consecutive years. It will be so much fun to see the different answers as time passes, and children will get a sense of how their tastes, interests and lives have changed and grown. Wreck This Journal. This one is not specifically for kids, but I they will love it, and is great for active kids who may not want to “sit down and write.” Each page has instructions to get journalists to be destructively productive! 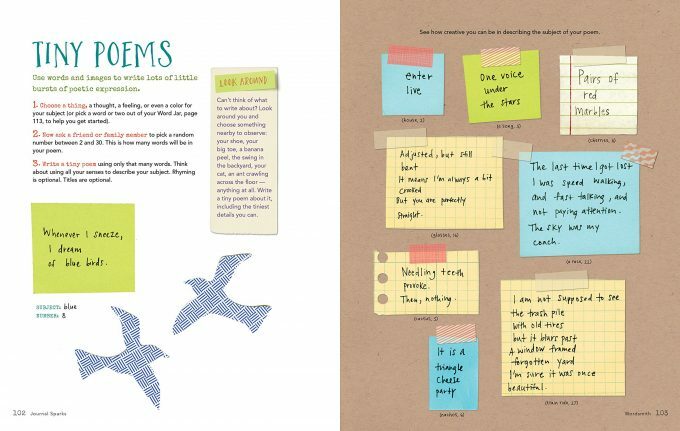 Creative prompts include things like, “poke holes in this page with a pencil”, “figure out a way to attach these two pages together”, “draw a line while in motion.” This journal would be great fun for kids who are full of restless energy. Choose Kind Journal: Do One Wonderful Thing Every Day. Drawing on the popularity of the book, Wonder, this journal encourages children to write down their thoughts about showing compassion for others. Each day asks a question about showing kindness, or how the child has being on the receiving end of another’s kind deed, and provides quotes from Wonder as inspiration. 642 Things to Write About: Young Writer’s Edition. This is a writing journal that will last a long time! It is also a great choice for voracious writers. Creative writing prompts encourage kids to let their imagination run wild and the space allowed for writing varies from full to quarter pages. 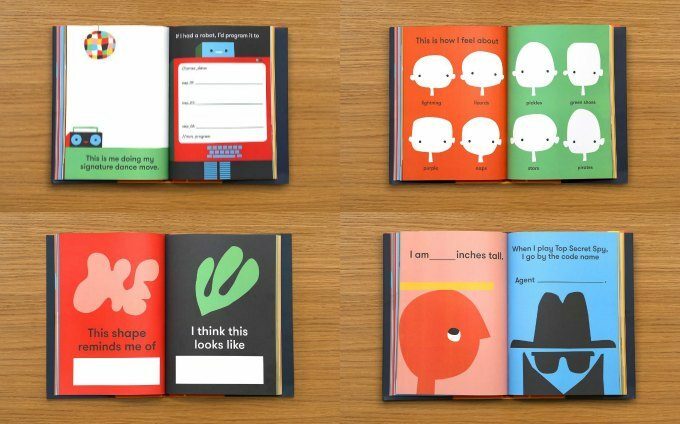 Me: A Compendium: A Fill-in Journal for Kids This is an excellent writing journal for children who are daunted by the idea of writing large amounts of text. The journal’s bold graphic design invites the young writer to answer simple, but creative questions, giving them the option to expand upon their thoughts or to illustrate their ideas. It is also a good choice for very young writers. This Smash Mini Folio is such a fun idea and a perfect way for kids to keep all those oh-so-important souvenirs and bits of ephemera they seem to be so good at collecting. Kids “smash” objects between the pages for safe keeping with the special glue tipped marker. It doesn’t include extensive prompts like many of the other journals on this list, but it is great for kids who may prefer scrapbooking over writing. My Travel Journal. If your children have trouble writing about their travel adventures without specific writing prompts, then this is a good travel journal option. Rip the Page! : Adventures in Creative Writing. Several years ago the publisher set me this excellent book to review. 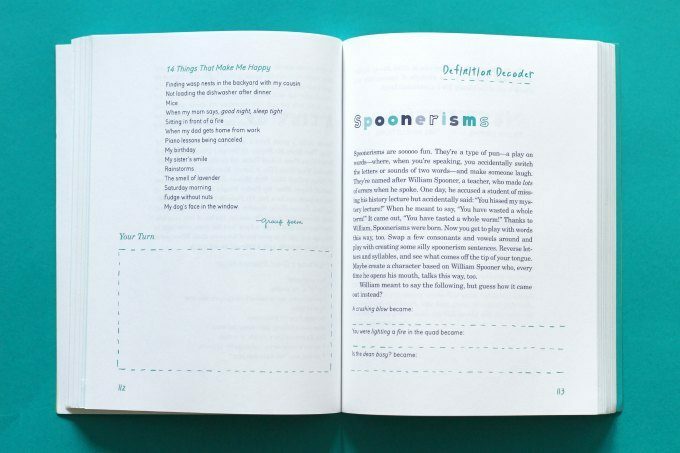 It contains writing prompts and inspiration to get kids writing in unusual and creative ways. Kiddo has just started doing some of the activities and I’m finding it really opens up his imagination. I highly recommend it for kids ages 7 and up (the publisher recommends ages 9 and up). The author also wrote a companion book, Leap Write In! : Adventures in Creative Writing to Stretch and Surprise Your One-of-a-Kind Mind. Journal Sparks: Fire Up Your Creativity with Spontaneous Art, Wild Writing, and Inventive Thinking. This is not actually a journal but a companion book to encourage journalist to combine writing with art to explore how to express themselves. The book contains extensive how-to instructions for interactive journaling, using poetry, collage, watercolor, free writing and more. 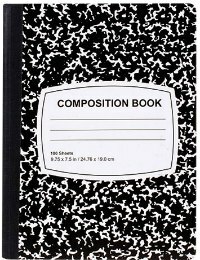 I would be remiss if I didn’t mention the economy standby composition book. You can buy the traditional black, ruled book for under $5, or you can even get 100% Recycled Paper version. If your kids decorate it with stickers, collage items or cover it with their art, it gives them a sense of ownership and encourages them to crack the spine and start writing. I shall leave this post with a page from Kiddo’s journal from age 4. Its insanity still makes me smile. I love journaling as a way to build the writing side of literacy. Kids love books they have written themselves. And as they grow older, they are glad to have the memories. Don’t even need to say how much it will mean to parents and grandparents! I love journals for kids especially during the summertime! We’re working on a fun nature journal for this year’s vacation. And my daughter is excited to use her travel journal on our excursions. I also love the grandparent journals that can be used to share memories with the family (I gave one to my grandmother years ago and received it back this year as a gift – completed with many wonderful stories and old photos). You’re right — they are a place to keep memories. Great ideas! A grandparent journal is a fun idea. Love, love, LOVE your journal ideas and selections!! It’s exactly what we need to get my kids writing a little. I really enjoyed this post and love journals. We had a family journal in which we used to make entries and respond to each other. When one of us was finished, we placed it on the bed of the next person we wanted to read it. Sometimes it was easier to write things down than talk about it. Thanks, Belinda. I agree, writing is a nice change from talking sometimes. I just loved this post. I have been thinking of how to encourage my 6yo son to write more because he dislikes it. 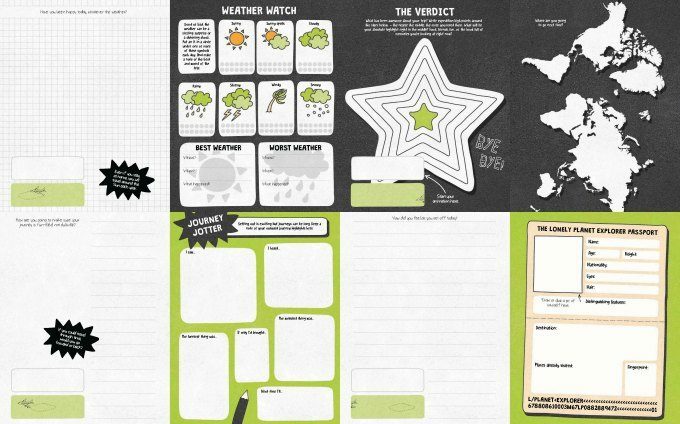 I’m thinking we might try out a summer journal as a start and these ideas from your post provided much needed inspiration. Thanks, Bonnie. The summer is a good time to start a writing routine since there is less pressure. I have a child that just turned 5 and another that will soon be 4 and I may begin to homeschool them, but either way, I think journaling will be a great addition to our day. 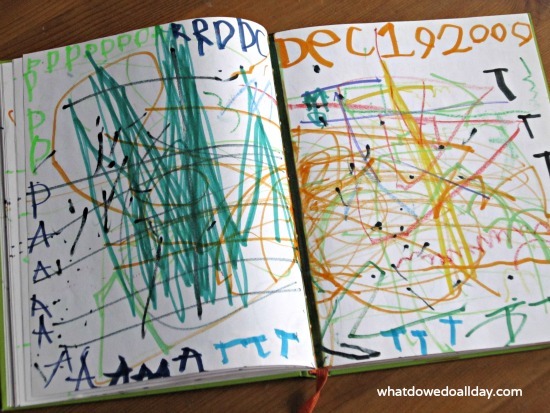 We started using a couple of spiral notebooks, but now I am looking for a blank journal that has thick pages that won’t bleed when my child uses markers (or at least minimal bleeding) but I don’t really know where or what to look for. It looks like your son is using marker in his journal, which one do you use? or do you have a suggestion of one with thick pages? Thanks, I love your ideas and posts. I originally found your 2008 ‘starting a preschool journal’ on Pinterest!! !